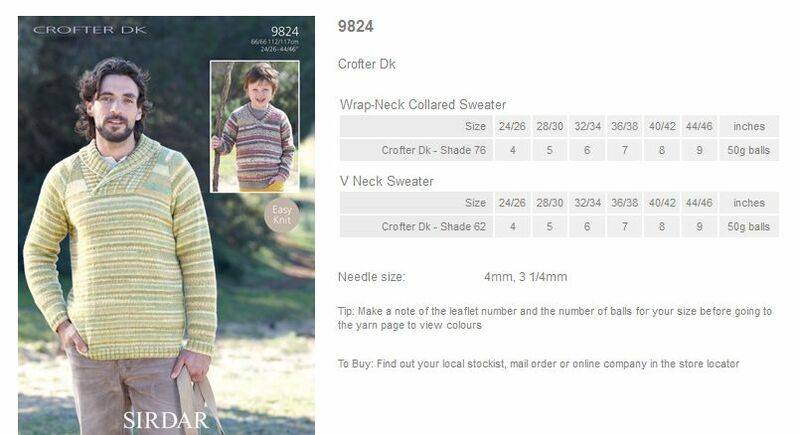 9824 -Wrap-Neck Collared Sweater and V Neck Sweater using Crofter DK Leaflet with designs for a Wrap-Neck Collared Sweater and V Neck Sweater using Sirdar Crofter DK. 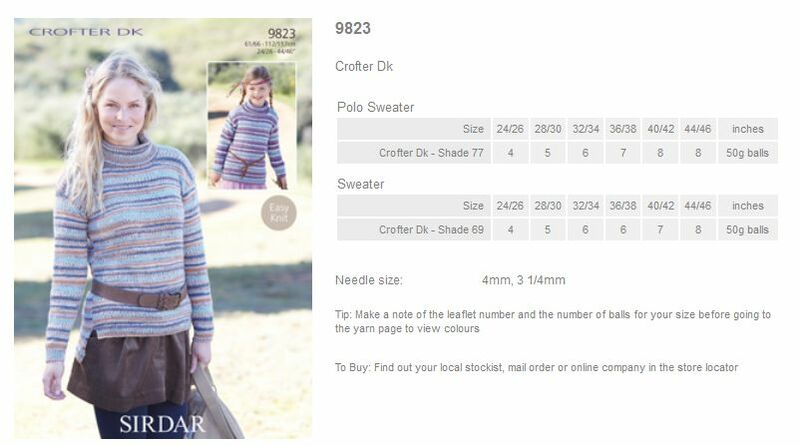 9823 - Polo Sweater and Sweater using Crofter DK Leaflet with designs for a Polo Sweater and Sweater using Sirdar Crofter DK. 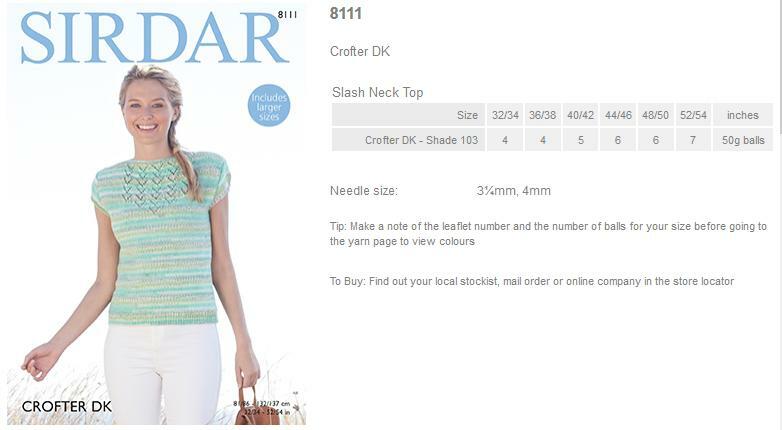 8111- Slash Neck Top using Crofter DK Leaflet with a design for a Slash Neck Top using Sirdar Crofter DK. 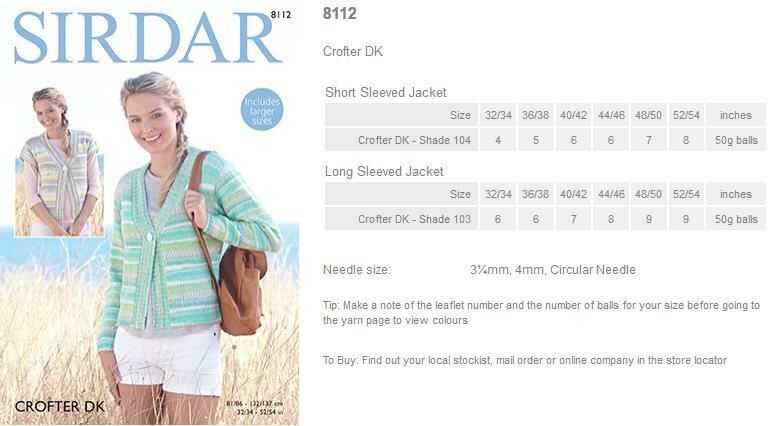 8112 - Short and Long Sleeved Jackets using Crofter DK Leaflet with designs for Short and Long Sleeved Jackets using Sirdar Crofter DK. 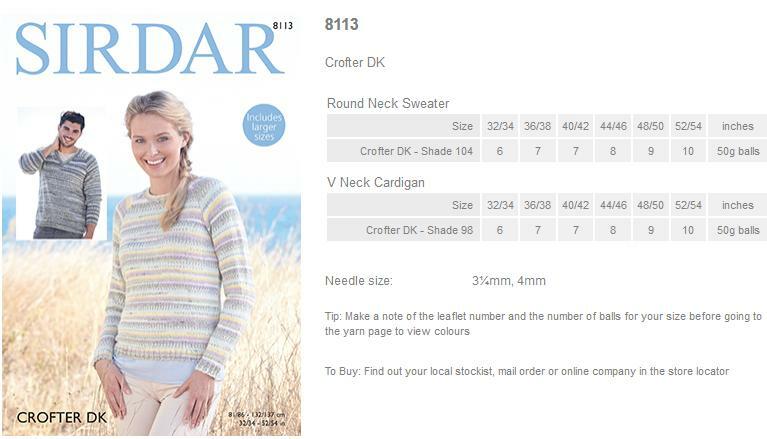 8113 - Round Neck Sweater and V Neck Cardigan using Crofter DK Leaflet with designs for a Round Neck Sweater and a V Neck Cardigan using Sirdar Crofter DK. 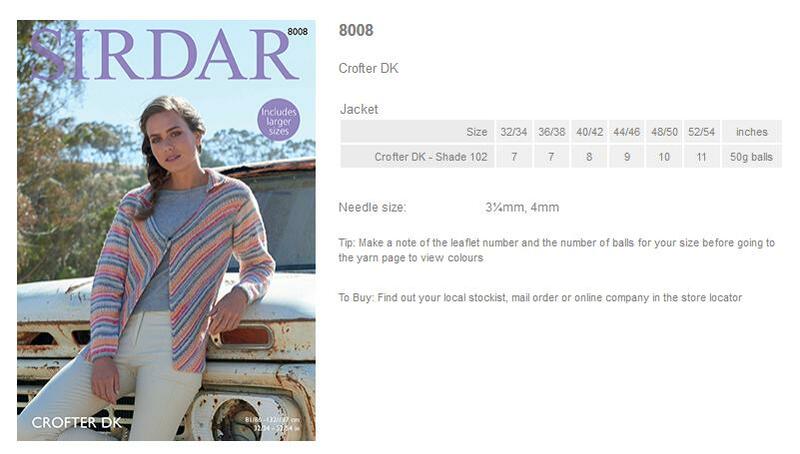 8009 - Cardigan using Crofter DK Leaflet with designs for a Cardigan using Sirdar Crofter DK. 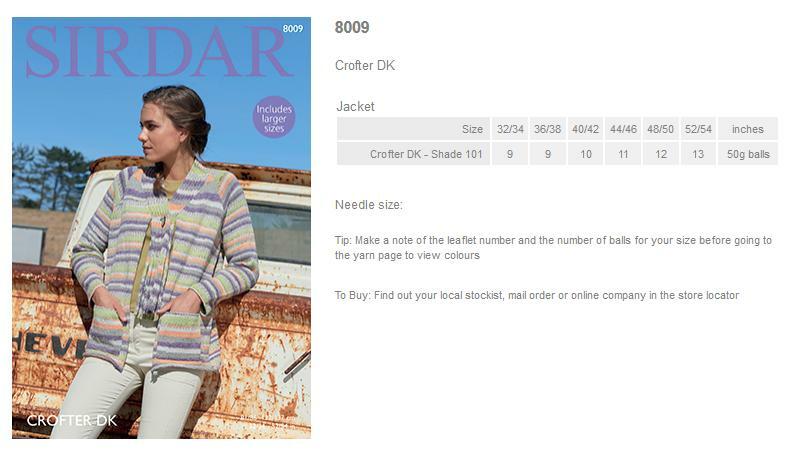 8008 - Cardigan using Crofter DK Leaflet with designs for a Cardigan using Sirdar Crofter DK. 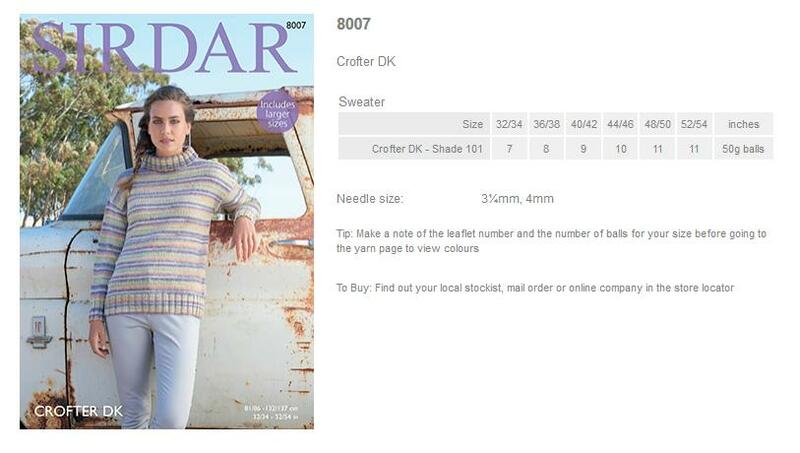 8007 - Sweater using Crofter DK Leaflet with designs for a Sweater using Sirdar Crofter DK. 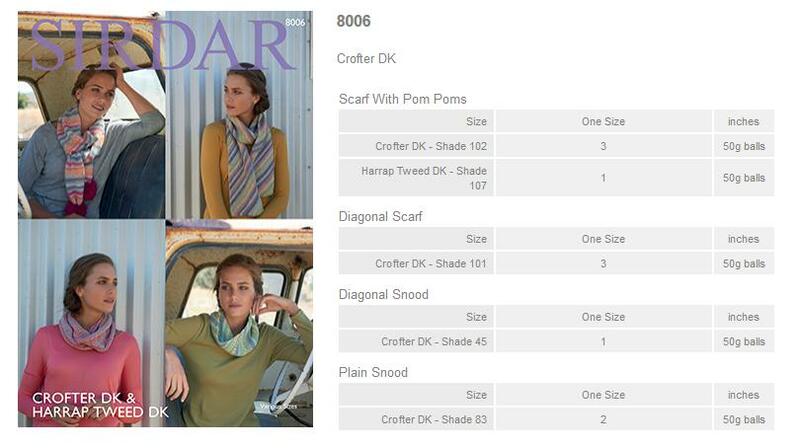 8006 - Scarves and Looped Scarves using Crofter DK Leaflet with designs for Scarves and Looped Scarves using Sirdar Crofter DK. 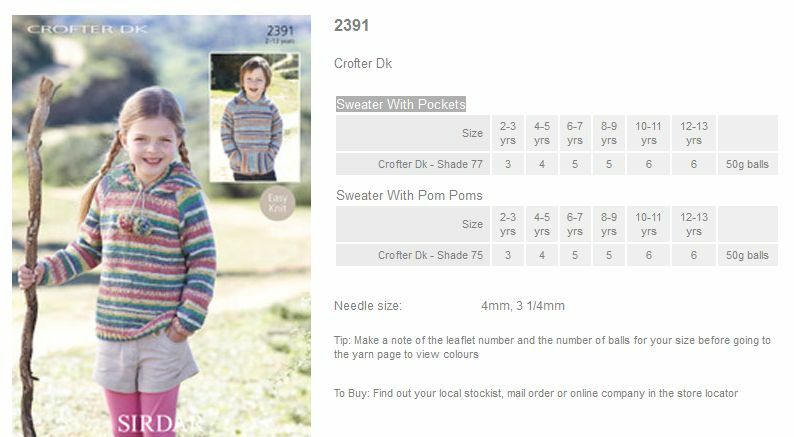 2391 - Sweater with pockets and Sweater with Pom Poms using Crofter DK Leaflet with designs for a Sweater with pockets and Sweater with Pom Poms using Sirdar Crofter DK.